First off, can we discuss how gorgeous this bottle is? The flowers on the cap give a nice feminine touch. This bottle is definitely the centerpiece of my fragrance collection. The fragrance is a beautiful woodsy floral that reminds me of summer evenings playing outside as a kid. The top notes include strawberry, gardenia, and jasmine. The base notes include musk and white woods. It does a decent job at sticking around throughout the day. When I spray it in the morning, I can still faintly smell the fragrance in the evening. I used it religiously last year and I’m not even half way through the bottle. Like most designer label perfumes, it is pretty pricey. My 1.7oz bottle cost $76 at Sephora. It’s not cheap but considering the beautiful packaging and the wonderfully complex scent, I think it is defiantly worth the price. If you don’t mind spending the money on a perfume, I suggest trying this one out. 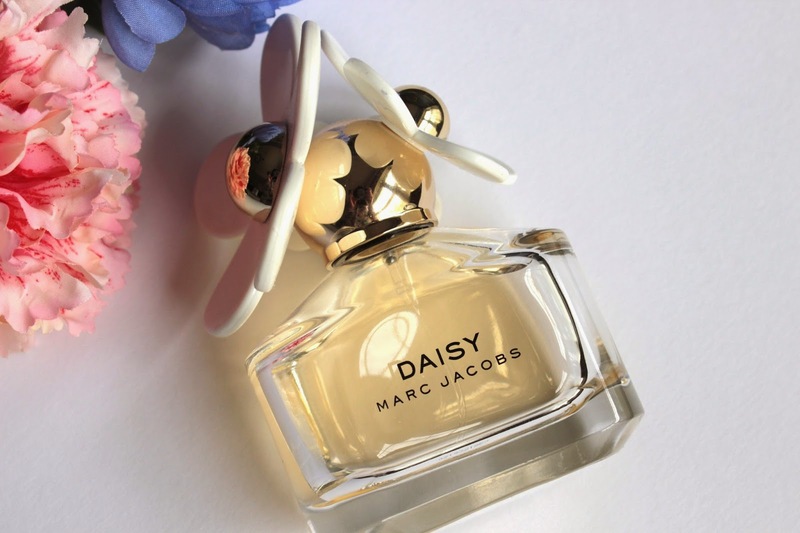 What is your favorite spring/summer perfume? Love this review and great pics too! I love a lighter fragrance in the Spring/ Summer time and The Body Shop do some great Body Mists which I love! Thank you Anjelique! I've wanted to try some of the Body Shop mists but I didn't know if they were any good. The next time they have their buy 3 get 3 sale, I may have to pick up a few.